Natalie Klinefelter, the Broker and Owner of The Legacy Real Estate Co. is a native to San Diego. In fact, her parents still live in the same Bay Park home she grew up in. Knowing her roots would remain in San Diego, Natalie decided to branch out to the islands where she earned a Bachelor of Arts Degree in Advertising from Hawaii Pacific University. After graduating and later earning an Event Management Certificate from the University of San Diego, Natalie started a career working for the San Diego County Apartment Association in the Events Department and eventually opened her own event planning business. While running her event company, Natalie was presented with an opportunity to join a real estate brokerage to assist with marketing and planning home sale auctions. After working just a short time with the Brokerage, she discovered an interest in the real estate side of her position. That interest quickly grew into a passion and she obtained her California real estate license in 2010. Real Estate was the perfect mix of marketing, planning, coordinating and managing clients she had the knack for. 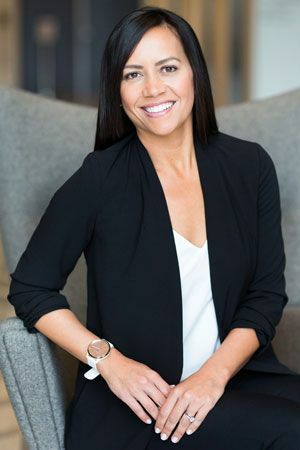 Before launching The Legacy Real Estate Co. she was working with a boutique Brokerage alongside a Broker/Investor, serving as the Director of Real Estate Sales. Her role with the company was to acquire properties to purchase, work with the investor to oversee the rehab of properties and eventually resell them. This was in addition to managing much of the day to day operations of the Brokerage. In 2016, she obtained her Real Estate Broker’s license. With years of experience and 100+ properties sold thus far, she felt opening her own brokerage was the natural next big step. Running her own brokerage gives her greater flexibility and opportunities for creativity and innovation to better serve her clients’ real estate needs. She is excited to build on a solid foundation of seizing market opportunities, negotiating deals, reaching out to a range of industry contacts, maximizing the return on my clients’ investments and developing marketing strategies to sell properties for top dollar. Her wealth of knowledge and work ethic have transcended the role of a traditional agent. She has negotiated shorts sales, assisted clients with 1031 Tax Deferred Exchanges, worked with clients though the probate process and has found a passion working with Senior clients and estates. She was recognized as a 2016 & 2017 San Diego Association of Realtors Silver Excellence Award Winner and was just notified that she will receive the award in 2018. This award is given to the top 5% of agents in San Diego County based on sales volume. When not with clients, Natalie’s life at home with her young daughters still allows her to continue to perfect the skills necessary for real estate – constant negotiations, coordinating activities, long hours, nights and weekends. Really, the jobs go hand in hand! :) Natalie is truly blessed to have a husband and family to lean on as a source of support and encouragement in life and in her career. Natalie is often referred to as an old soul with a twist - her passion for client interaction and satisfaction are similar to the days before we lived in a world immersed in technology. This mixed with her ability to take advantage of today’s online marketing tools to insure top exposure and maximum value for her clients have remained her most successful attributes as an agent in today's market. Here core belief is, if bought and sold at the right time, in the right way, real estate is one of the greatest wealth-building opportunities one may experience in their lifetime. Truly, a home is where your legacy begins, and she is here as a guide to help her clients determine the right time and the right way. 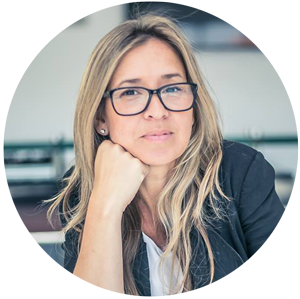 While attending Grossmont College, Roberta worked full time for 3 years in the field of International Business as an owner of Copacabana International Travel where she built business relationships and honed in on her innate problem-solving skills. In 2003, just a year after Roberta graduated from Grossmont College in San Diego, she started working in Real Estate. Roberta O'Banion has been working in the real estate industry for nearly 15 years. Many of those years were spent managing residential property where she gained a tremendous amount of experience listing, managing and selling properties for first time home buyers, Sellers and investors. Her time in the industry has allowed her to see many different market cycles and has provided her with the knowledge and tools to adapt to various real estate market conditions and educate her clients along the way. In addition to being a Licensed Agent and Real Estate Assistant, Roberta is a wife, Mother of one beautiful son, dedicated and focused Associate who excels at prioritizing, completing multiple tasks simultaneously and following through to achieve project goals. She is also a very adaptable and hardworking professional with a strong drive to succeed for herself and clients. As the new Client Relationship & Marketing Specialist with The Legacy Real Estate Co., Roberta's focus will be establishing, maintaining and enhancing client relationships and ensuring nothing but exceptional service provided by The Legacy Real Estate Co. team.